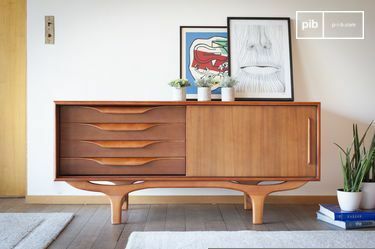 It now exists in many forms; Scandinavian style offers a clean rendering, and solid wood provides authenticity. Fans of industrial design will opt for wood and metal. Robust and aesthetically pleasing, the wood and metal tv stand is a piece of furniture that will convince both those who already like the industrial style and those for whom it is new. Coupled with a club armchair and a leather sofa, it will complement your industrial coffee table by maintaining the same tones. Easy to maintain, you can put many objects there, such as an extra light or a decorative accessory. Maximise your creativity! Do you need an unrivaled piece of furniture for your industrial decoration? 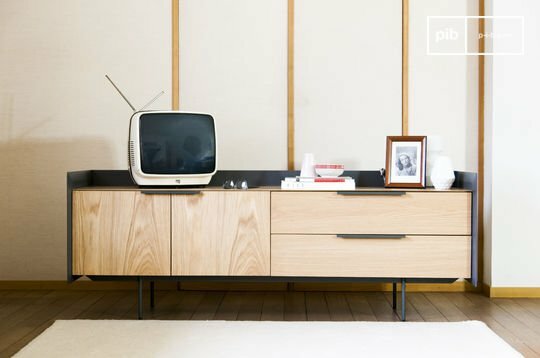 The wood and metal tv stand combines two iconic materials of this style in order to obtain a specific alchemy. The noble wood, with its special texture and its optimum resistance, is a sure value whatever the situation. 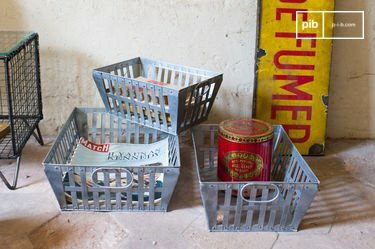 Often used for furniture such as sideboards, retro coffee tables and vintage desks, it is often paired with rustic metal for a convincing industrial finish. The finishes of these pieces of furniture have been carried out with care, both for aesthetic purposes and to guarantee a wear-resistant item. The patina has been finely crafted, with attention to detail, so as to achieve a retro look that will not disappoint. Whether the stand is in oak, elm or ash, it will adapt easily to your style of living room. For a vintage finish, reinforce your ambience with matching fixtures. 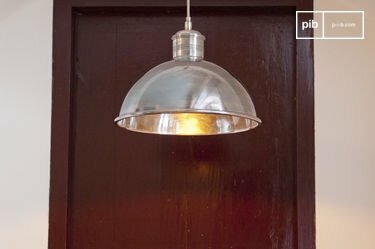 An industrial ceiling lamp or a metal reading lamp are charming pieces that will emphasise the design of your wood and metal tv stand. Decorative industrial-style accessories will also help you give the piece a distinctive look. 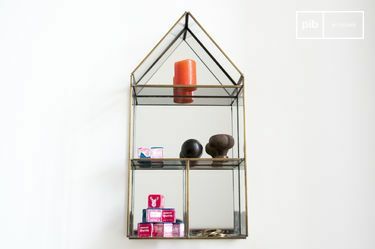 Think of metal boxes and industrial mirrors to bring an atypical and practical touch to your interior.